Big Waterfall Rappelling with Unique Double Overhang; Canyoning Trek through flowing streams of water and wooded country side; Climbing Up Gentle waterfalls; Splashing in Small Pools of Waterfalls; lush green countryside; Farms and more..
Lonavala Hidden Waterfall with Lakeside Camping (other water sports activities and overnight camping also possible). Clubbed with Burma Bridge, Commando Bridge, Farm Exploring and day camping. 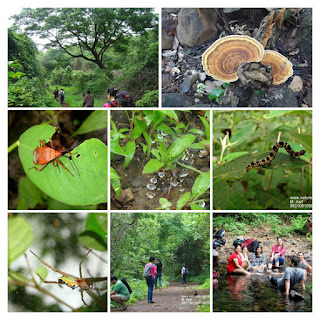 (Multi-day camping with other team building activities and adventures also possible). 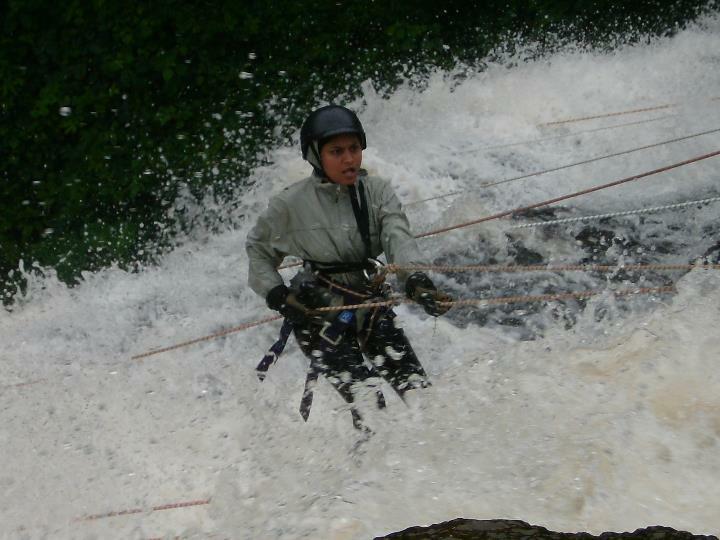 Trek; Waterfall Rappelling; Safety Gear and Technical Support - Rs.750/- per head. Veg Meals (Basic Village - Breakfast; Lunch and Evening Tea/Snack - Rs.350/- per head). Ex. Lonavala possible). Reporting time at Lonavala Station 7:00 am. Big Waterfall Rappelling Adventure at Madap Waterfall. Other mountaineering sports are also available on advance request if you have a sizable group.